For anyone interested in the beautiful diplomatic games and the academic researches about the post-Cold War South-Eastern Europe, Vienna was always the best place to learn, observe and take notes. A former imperial capital city, this city always used to be an interesting place to guess the new international trends, with its good and bad news. As at the end of the 1990s, I was pretty involved in various projects aimed at the post-war reconstructions of the freshly redefined geo-political category of the Western Balkans and the neighbouring area, I visited Vienna more than 10 times, and every time I approached this city and its historical and cultural collections with curiosity and excitement. 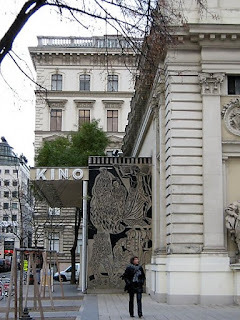 It is here where I've seen for the first time Egon Schiele and Gustav Klimt and fell in love for ever with Art Nouveau or had my first Sachertorte - there is no other place to have it but in Vienna. In the memory of those times and as a promise to come back soon, here is my list of 5 serious reasons to fall in love with Vienna. Either you want to visit it as a one-day trip from Prague, Bratislava or Munich - or for a full weekend and even a week, Vienna is accomodating a diversity of interest and travellers. My favorite way to discover the city is always by walking - and I probably did the tour of this city by foot more than once - but wiser visitors can use the opportunities offered by the Vienna Card and enjoy the various transportation, guided tours and museum entry discounts. Vienna is far beyond the relatively recently branded Berlin concept of 'multi-kulti'. After all, they used to play empire for centuries long before Germany was the big huge country we all know. Diversity means here more than the Babel of languages spoken on the street - not few of them from the so-called 'power keg of Europe', the Balkans or more Central European countries - but it also means a certain intellectual mood - and malaise, expressed in its extreme way by the Man Without Qualities, by Robert Musil (a book written in an apartment on the fancy Ku'damm street of Berlin) or the psychosis diagnosticated by Prof. Freud. It is the city of dreamers like Herzl or of sophisticated minds like Klimt's or epithomized by the century's sadness of Stefan Zweig. For me, this city means more than just being yourself, but also being able to find your small little place to express yoursef, regardless how far you can get. If you wanna have a look at the many faces of the city yourself, put aside a couple of sunny hours for people watching while sipping your coffee in the popular Yppenplatz. I've never seen a place where people are more stylish and elegant, not because they want to demostrate something to the world, but just because it is their only way they know how to express themselves. Let it be a bit of rain, and you will see elegant ladies without age, wearing classical coats with some fur on the side and impecable black lack shoes beyond the good and evil of any fashion trends. It's everything about style and although Vienna itself is not a very famous fashion capital city, its people look like being on the catwalk all round the day and the year. Some of my recommendations for tasting the local vintage elegance are: Catrinette in Porzellangasse 28, Die Glasfabrik in the former industrial district, in Lorenz-Mandl-Gasse 25, or Wissenchaftliches Kabinett in Spielgasse 23. My friend which lives many capital cities away from Vienna, after having her first bit of the Sachertorte with its fine texture covered in an even finer chocolate coating, she realized she cannot live without it any longer. Therefore, she has it delivered every couple of weeks from here. Where you can have the best of them? It is not an easy answer, as the fight about who has the best piece of special Viennaise chocolate is real, with Cafe Sacher and Cafe Demel struggling hard to demonstrate who was actually the first. As a visitor, you don't have to really get involved into such typical local pride wars, but you can decide yourself by having a bit in both parts. If you are really into such tasting, forgot to add also Demmayer to the list of places where to have another bit of the torte. Because, why not? And it is not the only trademark of Vienna which always tastes the best here. There is not other place where the Apfelstrudel is better done as here - sorry, Germany - with the whipped cream and icecream on the side, at the perfect temperature to melt slowly on the side. What, you haven't tried yet a Punschkrapfen - or the punch cake - a fine rum-flavored pastry? It is another must to have while taking a break from so much sightseeing here. Some also say that there is not schnitzel as the Viennaise schnitzel and of course, you have to try it to believe it. After all, Viennaise cuisine is the only one in the world that bears the name of a city for its special meals. In addition, to this, if you are looking for some diverse and South-Eastern European flavor, with some live traditional music once in a while, you can head to Beograd, serving traditional Serbian food to the people of Vienna for more than five decades, on Schikanedergasse 7. The kosher-conscious traveller, can find in the last years more options as ten years ago, such as for example, at the meat restaurant Mea Shearim, on Schmelzgasse 3. If you follow my blog and especially my Instagram, you noticed already how much I love architecture - especially when the classical buildings are integrated happily into the modernist landscape. 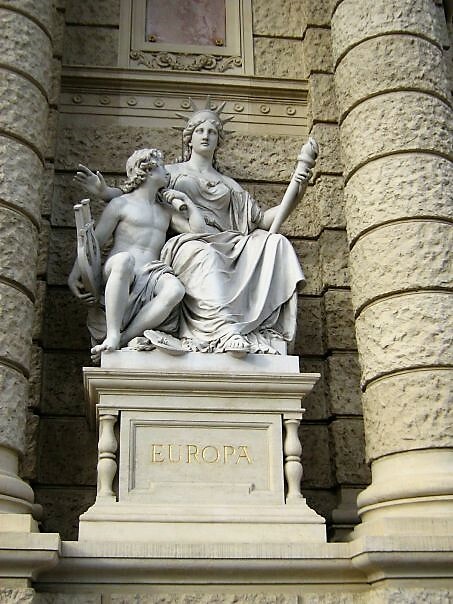 Vienna has a rich repertoire of styles, belonging to different historical stages of development of the city, that goes from Gothic to the Classicism, Art Nouveau and Secession. 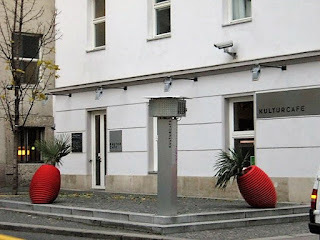 I am personally a very big lover of the latter, and I can only recommend to other architecture lovers as me to have a look at least once at the Loos House, or the Postal Savings Bank or other works made by Otto Wagner, the author of the modern concept of Vienna. On the list of the places any architecture you should also include: Schönbrunn Palace, the former imperial summer residence, or the Hofburg Palace - with its beautiful Spanish Riding School - the only such school in the world which still keeps the old equitation tradition of the Renaissance, with a history of over 430 years - the impressive the city hall - Rathaus - or the Staatsoper. Sometimes, it is just enough to walk the streets of the city, late at night with the stars and the moon your only companions and you will see Vienna in a more intimate and unique light. When it comes to cultural life, Vienna is keeping the standards of music, art and literature high, and not since today, but for centuries. A city in love with music, at competition with Salzburg, it was always a destination for talented musicians aiming to enter the grace of the Imperial family. It was the case of Mozart, born in Salzburg but whose genius was confirmed through his concerts in the front of Empress Maria Theresia. Mozart's traces in the city are often market by memorial signs. Mozart was joined across centuries by thousand of other famous musicians who entered the history of music and of European culture, such as Haydn, Vivaldi, Gluck, Schubert, the members of the Strausse family, the creators of the waltz, Brahms, Mahler or Herbert von Karajan. All round the year, concerts honouring the musical heritage are taking place in places like Vienna State Opera, at the Schönbrunn or at the Mozart Ensemble, the oldest concert hall in the city, where Mozart also used to work and play. Especially for those not speaking the language, a concert is one of the best ways to connect with the city cultural life without the need of words, but from soul to soul. 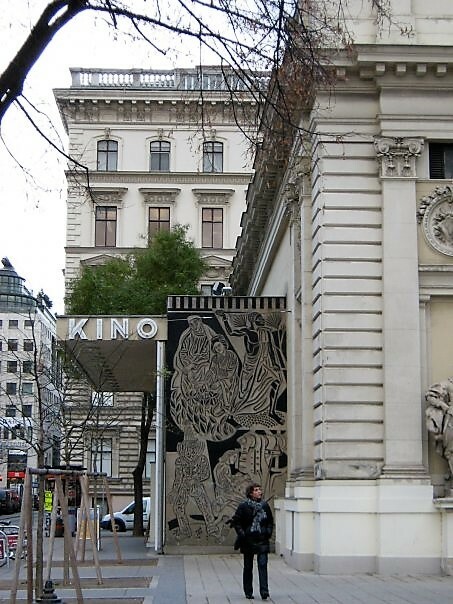 Artists from all over the world are spending time to Vienna for various internships in domains as diverse as contemporary dance, visual arts of photography, therefore, the many galleries and alternative spaces in the city are always an interesting way to explore the current global artistic trends. If the classical and modern arts are enough for you, the list of places to fill a couple of weeks of art wandering is pretty big. From the classical collection from Albertina to the mumok - the Museum of Modern Art - or Leopold Museum, where local artists like Schiele, are displayed. During my last visit, I've spent an impressive amount of time at the Natural History Museum, which was an excellent choice not only for the outstanding architecture of the building but also for the exquisite scientific discourse. What about you? 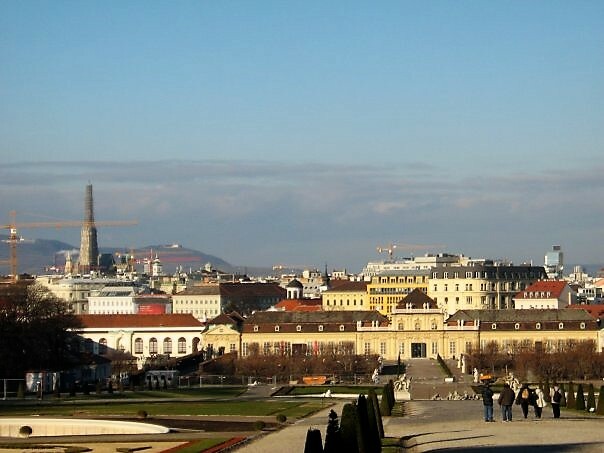 What are your favorite things to do in Vienna? Interesting! I love your very vivid descriptions of its delights. Never been that interested in Vienna before, but you have sold me on it for sure! Particularly impressed that your friend gets the sachertorte delivered. Now that must be a cake! Oh boy, do I miss Vienna. Have you seen the movie Before Sunrise? it was what introduced me to the city. I've visited it once in 2003. My fave would be #5 Cultural Life! I need to go back! Didn't see the movie! Thanks for the recommendation! You definitely should return soon! 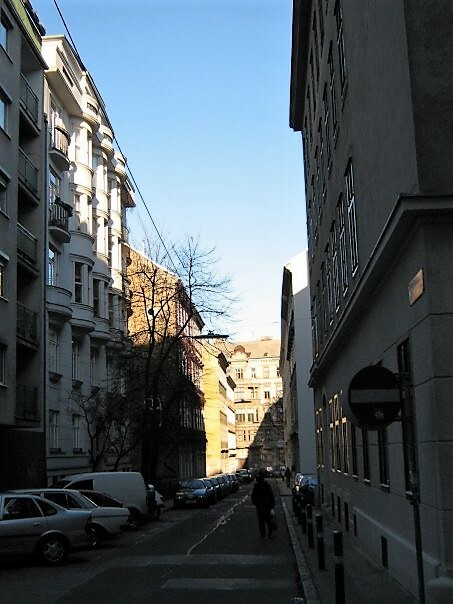 This is a fascinating look at Vienna. Your love for the city just shines through - a great read! I hope I get the chance to explore Vienna soon. Thank you! Vienna is a charming place to live and visit! This makes me want to go back to Vienna. I was there in the bitter cold of a freezing winter and we could barely do anything outside! I'd be interested to experience more of the food and architecture in particular, as you highlighted here! My first time there was when it was raining cats and dogs for almost a week, but explored a lot of museums. Weather is a serious issue, but some summer days are lovely though! Vienna looks like a lovely to visit, it is definitely on my list of must-sees. Hope you can make it soon! Is a great European city to visit! I would go to Vienna for all of these reasons, especially the food! Yum! Hope it will happen soon! Late summers are very beautiful there!